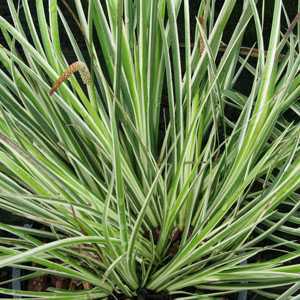 Acorus gramineus 'Argenteostriatus' Silver Sweet Flag is an aromatic aquatic perennial grass with semi-evergreen variegated strap-like leaves. Position:Â Plant in fertile soil in sun. 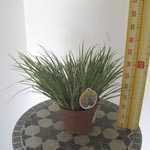 Likes very wet conditions and can even be grown in shallow water.